Home / Automotive / News / Aston Martin Upgrades The 820hp Vulcan, Results Are Amazing!! 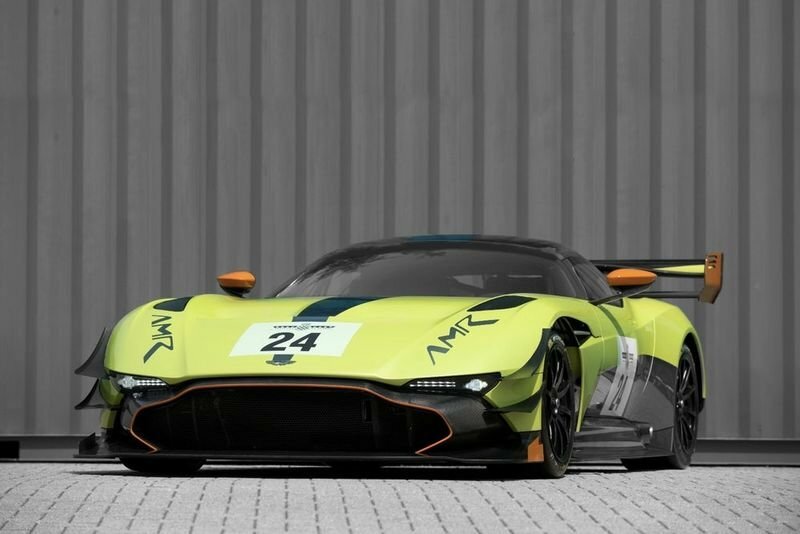 The new version of the carbon-fiber monocoque Vulcan is to be known as the Aston Martin Vulcan AMR Pro, it involves aerodynamic performance upgrade package for a limited edition - only 24 Vulcans in existence. The new performance upgrade includes louvred panels above the front wheel arches, a pair of dive planes on each side of the nose and the front splitter has turning vanes fitted to the underside that's designed to improve steering response. The aerodynamic improvement increases the Vulcan's downforce from 3150 Nm to 4000 Nm, an increase of 27 percent. The changes also improve the aerodynamic balance of the Vulcan, resulting in better traction, steering and front-end grip. Aston Martin has worked hard to ensure it is not a monster to drive, so that is why it was important that the AMR Pro upgrade remains true to the objective. Check out the images above to see the Aston Martin AMR Pro! !